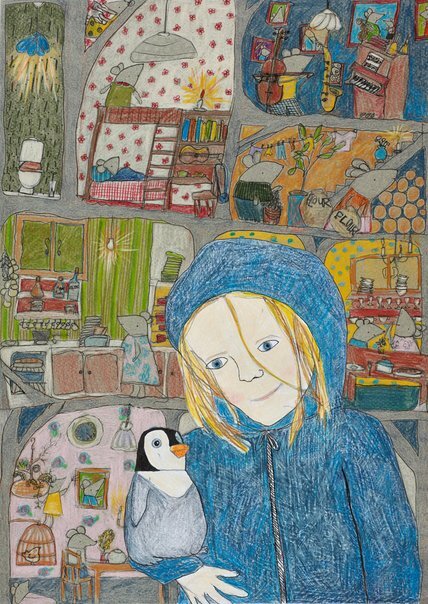 I have drawn myself so that I could draw my favourite penguin toy and my mouse mansion in the background. My father made a wooden doll’s house and I have made furniture, pottery pots, plates, artworks, beds, curtains and clothes for all my mice family out of recycled trinkets. There are even mice portraits on the walls.